After ordering how long for a delivery date to be confirmed? After you have placed your order it usually takes just 24 hours for the delivery date to be confirmed via email. Are aluminium bifold doors cold? Bifolding doors often occupy a large space therefore it’s possible for heat loss to be an issue. Our aluminium bifold doors are well designed to insulate and if the ‘thermal upgrade’ option is chosen then the thermal properties are improved further. It’s also worth considering uPVC bifold doors as uPVC in itself offers a good thermal resistance. Find out more about our specific energy ratings. Are aluminium doors better than uPVC? Aluminium doors and uPVC doors each have their pros and cons. For example, uPVC offers value for money and excellent thermal properties, whereas aluminium offers added strength and slimmer sightlines in comparison. The most appropriate choice will depend on the required application, budget and desired appearance. Aluminium doors are very robust and secure as standard; all of our aluminium doors come with a multipoint locking system installed. Are aluminium windows any good? This is a common question to ask yourself when looking into which material to choose for your new doors and windows, and the quick answer is simply ‘yes’! Aluminium windows and doors are a strong and secure option and will serve as a solid investment for many years to come. We offer a vast range of aluminium products as well as a full survey and installation service. Aluminium windows and uPVC windows each have their own pros and cons. For example, uPVC offers value for money and excellent thermal properties, whereas aluminium offers added strength and slimmer sightlines in comparison. It will depend on the required application, budget and desired appearance. Some are, yes, although ours are not. Unless used in a commercial setting or if stipulated by the council, it’s not usually essential for windows to be fire rated. Yes, aluminium windows and doors are a strong and secure option and will serve as a solid investment for many years to come. We offer a vast range of aluminium products as well as a full survey and installation service. Are composite doors any good? The quick answer is, yes. We’ve sold countless composite doors to happy customers all over the UK. Composite doors are strong, secure, energy efficient and available in a vast range of colours, styles and designs. Customise, quote and order online easily today. We offer a vast range of composite doors as well as a full survey and installation service. A composite door will offer many advantages over wood, for example: security, longevity, and minimal maintenance, to mention just a few. Find out more by customising and quoting a composite door online easily today. We offer a vast range of composite doors as well as a full survey and installation service. Are composite doors coloured on both sides? They can be if required, and this can be specified during the customisation process. Often, the internal colour is white; however, the same colour can be used inside if required, and dual colour (different on either side) is also an option. Customise, quote and order a composite door online. Yes, they can be and we offer excellent value composite fire doors. We also supply non-fire rated doors so please do ensure that you are ordering correctly. FD30 fire doors are built to meet all compulsory building and fire regulations for apartments, as well as housing association buildings and flats. Yes ,composite doors are well insulated and an excellent choice for thermal efficiency, keeping in as much as 8x more heat compared to standard older timber styles door, and not to mention far better draught-proofing qualities. We offer a vast range of composite doors as well as a full survey and installation service. The answer is some are and some aren't, depending on the chosen colour. If a standard colour is chosen then it will be that colour throughout the skin of the door. However, if a custom RAL colour is chosen then the door is ‘colour bonded’ and the paint is essentially baked onto the door’s surface. Both options provide a strong finish and are guaranteed for 10 years with a life expectancy of 35 years! No, they are not sound proof, although they do offer good sound insulation properties. The best composite door type we offer for soundproofing is the standard composite doors range, as they are filled with a dense polyurethane foam material. Are composite doors stronger than uPVC? In a word, yes. Because a composite door is a solid slab, as opposed to a uPVC door, which is essentially a frame inside of a frame, it is stronger and harder to break through by design. We offer a vast range of composite doors as well as a full survey and installation service. Are uPVC bifold doors any good? The quick answer is: yes. We’ve sold countless uPVC bifold doors to happy customers all over the UK. uPVC bifold doors are a cost-effective solution to open up a large space. Whilst aluminium bifold doors are a superior product, and this is reflected in the price, a uPVC bifold door fitted correctly will serve the user trouble-free for many years. Customise, quote and order a uPVC bifold door right here today. Are uPVC doors fire doors? uPVC doors are not and cannot be fire resistant or fire rated. However, composite doors can, and although they come with a uPVC outer frame, this is fire resistant. We offer composite fire doors from £746.40 including VAT and delivery. Customise, quote and order online easily. Are uPVC stable doors secure? Yes, our uPVC stable doors are equally as secure as a standard uPVC door. Our uPVC stable doors have two completely independent doors, top and bottom, which both lock into not only the frame, but also each other, giving excellent security. Yes uPVC windows are very environmentally friendly. uPVC can be recycled multiple times by being melted down and reused without losing any strength shape or colour. In fact, uPVC has been proven to be one of the most environmentally friendly glazing products available. Can aluminium doors be fire rated? Our aluminium door range is not fire rated, although aluminium itself will not catch fire. We do, however, offer FD30 composite fire rated doors. Can composite doors be broken into? Composite doors are very safe. They can't easily be broken into without a great amount of effort, time, and noise. However, do be sure to use a trusted supplier as there are many inferior products out there; likewise, ensuring the door is installed correctly is equally important. We offer a vast range of composite doors as well as a full survey and installation service. Can I cancel after the survey appointment? You are not under any obligation to order after your survey but the survey fee is non refundable. However if for any reason we can't install a new door for you we will refund the survey fee in full. Can uPVC doors be adjusted? Most quality uPVC doors can be adjusted via the hinges to bring them back into alignment if required. It’s also worth checking the door has been correctly toe and heeled, which will keep the door square and true. You can find out more about fitting and adjusting uPVC doors on our downloads page. Yes, this is absolutely possible - there are many colour options available with a woodgrain effect, including Golden Oak, Irish Oak, Rosewood and Rustic Cherry, to name just a few. Please get in touch for a colour sample or head over to our downloads page to view a brochure. Can you polish composite doors? Whilst not strictly advisable, polishing your composite door shouldn't cause any problems if you use a standard domestic polish. A gentle wipe with a soft cloth and warm soapy water should be enough to bring your composite door back up to scratch. Can you remove brickwork before fitting a new door or window? No, our installation service only includes removal and replacement of already existing frames, therefore should you need the removal of any brickwork, this will need to be completed before we survey and install the new frame. Yes we do for a one off charge of £78 our surveyor will come to your property and take all the relevant measurements needed to install your new door or window so you can place your order knowing you are ordering the correct sizes. To book a survey visit simply customize a door or window online where you'll book an appointment and be charged the £78 on your credit or debit card. NOTE: Select the "supplied and fitted" option to book a surveyors appointment. Do you offer integral blinds ? Do you offer integral/integrated blinds? Yes, we do offer integral blinds with the majority of our products; these can be selected and ordered online during the customisation process. Find out more about our integral blinds. How good are composite doors? Composite doors are usually the best option for a front or back door. They are strong, secure, energy efficient and available in a vast range of colours, styles and designs, although uPVC doors still offer an alternative that is good value for money. We offer a vast range of composite doors as well as a full survey and installation service. The life expectancy of a uPVC window is often up to 35 years; however, that's not to say you should wait that long before replacing. If your windows and doors are looking tired and like they’ve seen better days, then replacing them can be a relatively low cost and straightforward process. You can customise, quote and order online easily. We offer a vast range of uPVC products as well as a full survey and installation service. It takes around 1-2 days for a surveyor to visit your property and take all the relevant measurements and then a further 2 weeks from the survey date to process the details, have the door or window made up, then delivered and installed to your home. NOTE: Timings are approximate and given in good faith. How many keys does my door come with? All our doors come with 3x keys as standard; these can easily be cut-copied at your local key cutting merchant. If you require more keys we recommend having copies cut yourself, as the locking cylinders we supply are only available with 3x keys. Our aluminium doors range starts from £1032 including VAT with free mainland delivery. This is for a fully made-to-measure aluminium single door, delivered to you. We offer a vast range of aluminium products as well as a full survey and installation service. How much are aluminium French doors? Our aluminium French doors start from just £1494 including VAT with free mainland delivery. This is for a fully made-to-measure aluminium French door, delivered to you. We offer a vast range of aluminium products as well as a full survey and installation service. How much are aluminium patio doors? Our aluminium patio doors start from just £2014.80 including VAT with free mainland delivery. This is for a fully made-to-measure aluminium patio door, delivered to you. We offer a vast range of aluminium products as well as a full survey and installation service. How much are aluminium windows? Our aluminium windows start from just £190.80 including VAT with free mainland delivery. This is for a fully made-to-measure aluminium window, delivered to your door. We offer a vast range of aluminium products as well as a full survey and installation service. How much are bifold doors? This will greatly depend on whether they are made from uPVC or aluminium. Our uPVC bifolding doors start from just £1194, and aluminium bifold doors from £1896 – these prices are for a fully made-to-measure product and include VAT and free mainland delivery. Also, check out our download page for technical information and, if you haven't already, customise, quote and order easily online today. How much are uPVC bifold doors? Our uPVC bifold doors start from just £1194 including VAT with free mainland delivery. This is for fully made-to-measure uPVC bifold door, delivered to your door. We offer a vast range of UPVC products as well as a full survey and installation service. How much are uPVC doors fitted? A fully fitted uPVC door starts from just £774, which includes a home survey, removal and disposal of your old door and fitting of your new door, as well as a full guarantee. Find out more about our first-class survey and customise, quote and order online easily. Our uPVC doors start from just £354 including VAT with free mainland delivery. This is for a fully made-to-measure uPVC door, delivered to you. We offer a vast range of uPVC products as well as a full survey and installation service. How much are uPVC stable doors? Our uPVC stable doors start from just £682.80 including VAT with free mainland delivery. This is for a fully made-to-measure uPVC stable door, delivered to you. We offer a vast range of uPVC products as well as a full survey and installation service. Our aluminium bifold doors start from just £1896 including VAT with free mainland delivery. This is for a fully made-to-measure aluminium bifold door, delivered to you. We offer a vast range of aluminium products as well as a full survey and installation service. Our uPVC French doors start from just £630 including VAT with free mainland delivery. This is for a fully made-to-measure uPVC French door, delivered to you. We offer a vast range of uPVC products as well as a full survey and installation service. Our uPVC patio doors start from just £703.20 including VAT with free mainland delivery. This is for a fully made-to-measure uPVC patio door, delivered to you. Find out how much uPVC patio doors cost, and customise, quote and order online easily. We offer a vast range of uPVC products as well as a full survey and installation service. Our uPVC windows start from just £106.80 including VAT with free mainland delivery. This is for a fully made-to-measure uPVC window, delivered to your door. We offer a vast range of UPVC products as well as a full survey and installation service. Our aluminium windows are secure as standard and come complete with a multipoint locking system on all opening casements. There is also the option upgrade to ‘toughened’ glass, which offers ever greater security. Also, check out our download page for technical information and, if you haven't already, customise, quote and order easily online today. Most quality composite doors, including our own, come complete with a multipoint locking system as standard, making them safe and secure. Combined with a high-security cylinder barrel makes composite doors a high security, safe option. We offer a vast range of composite doors as well as a full survey and installation service. Most quality uPVC doors, including our own, come complete with a multipoint locking system as standard. This, combined with a high security cylinder barrel makes uPVC doors a high security, safe option. How secure are uPVC patio doors? Quality uPVC patio doors are secure as standard and fitted with a multipoint lock. Ensuring the lock is lubricated and operating correctly is usually enough to ensure your uPVC patio doors are secure. How to adjust aluminium bifold doors? Aluminium bifold doors do not usually need adjustment following correct installation; however, should an aluminium bifold door drop, then it is possible to lift the door by re-toe and heeling. You can find out more about toe and heeling, as well as fitting and adjusting aluminium bifold doors, on our downloads page. How to adjust aluminium doors? Aluminium doors do not usually need adjustment following correct installation; however, should an aluminium door drop it is possible to lift the door by re-toe and heeling. You can find out more about fitting and adjusting aluminium doors on our downloads page. How to adjust aluminium French doors? Aluminium French doors do not usually need adjustment following correct installation; however, should an aluminium French door drop it is possible to lift the door by re-toe and heeling. You can find out more about fitting and adjusting aluminium French doors on our downloads page. How to adjust aluminium patio doors? Aluminium patio doors can be adjusted by lifting or lowering the height of the sliding door sash and locking keeps to ensure a smoother operation. For more information please visit our downloads page where you can view our aluminium patio door installation guide. How to adjust stable doors? Adjusting a uPVC stable door can be as simple as loosening the locking keeps on the frame and moving them to the desired position to ensure a smooth operation. It’s also a good idea to check the doors have been correctly toe and heeled. For more information please visit our downloads page where you can view our stable door installation guide. How to adjust uPVC bifold doors? Adjusting a uPVC bifold door can be as simple as loosening the locking keeps on the frame and moving them to the desired position to ensure a smooth operation. It’s also a good idea to check the doors have been correctly toe and heeled. For more information please visit our downloads page where you can view our uPVC bifold door installation guide. How to adjust uPVC door hinges? uPVC doors, including ours, generally come with fully adjustable hinges. You can download our hinge adjustment guide from our downloads page. How to adjust uPVC doors to stop draughts? How to adjust uPVC French door flag hinges? Adjusting a flag hinge requires some basic tools and can be done quickly and easily. It’s also worth checking to see if the door has been correctly toe and heeled. For more information please visit our downloads page where you can view our uPVC French door hinge adjustment and installation guide. How to adjust uPVC French door locks? Adjusting a uPVC French door lock can be as simple as loosening the locking keeps on the frame and moving them to the desired position to ensure a smooth operation. For more information please visit our downloads page where you can view our uPVC French door hinge adjustment and installation guide. How to adjust uPVC French doors to stop draughts? Most quality uPVC French doors can be adjusted via the hinges to bring them back into alignment if required. It’s also worth checking the door has been correctly toe and heeled, which will keep the door square and true. You can find out more about fitting and adjusting uPVC doors on our downloads page. How to adjust uPVC patio doors? uPVC patio doors can be adjusted by lifting or lowering the height of the sliding door sash and locking keeps to ensure a smoother operation. For more information please visit our downloads page where you can view our uPVC patio door installation guide. How to adjust uPVC windows? uPVC windows don’t usually require adjustment after fitting; however, if you do find adjustment is required, this could simply be a case of tweaking the locking keeps if they are stiff, or re toe and heeling by deglazing and re-glazing the unit to square it up. You can find out more about adjusting uPVC doors on our downloads page. How to change uPVC French door locks? When changing a uPVC French door lock, you first need to identify and source the correct lock. Once you have sourced the lock, changing it is a quick and straightforward process and usually involves nothing more than unscrewing, removing and refitting. How to fit uPVC French doors with sidelights? Fitting uPVC French doors with sidelights can be a straightforward process if the aperture has been surveyed correctly and our installation guide followed. Sometimes the sidelights come joined as one frame to the door, otherwise they will be separate and are coupled together. Please check out our downloads page for more information on how to fit uPVC French doors with sidelights. How to fit uPVC patio doors? Installing uPVC patio doors can be a straightforward process if the aperture has been surveyed correctly and our installation guide followed. Please check out our downloads page for step-by-step information on how to fit a uPVC patio door, starting with how to remove uPVC patio doors. How to fix uPVC French doors? If your uPVC French doors have become stiff, fixing them can be a quick and easy process. Usually, one or both doors will have dropped over time and adjusting the hinges will restore smooth operation. For information on how to realign uPVC French doors visit our downloads page for a hinge adjustment guide. However, if the lock has failed this may need a service call. How to hang uPVC French doors? Installing, fitting or hanging uPVC French doors can be a straightforward process if the aperture has been surveyed correctly and our installation guide followed. Please check out our downloads page for step-by-step information on how to fit uPVC bifold doors. How to install aluminium bifold doors? Installing an aluminium bifold can be a straightforward process if the aperture has been surveyed correctly and our installation guide followed. Please check out our downloads page for more information on how to install aluminium bifold doors. How to install aluminium doors and windows? Installing aluminium doors and windows can be a straightforward process if the aperture has been surveyed correctly and our installation guide followed. Please check out our downloads page for more information on how to install aluminium doors and windows. How to install aluminium French doors? Installing aluminium French doors can be a straightforward process if the aperture has been surveyed correctly and our installation guide followed. Please check out our downloads page for more information on how to install aluminium doors and windows. How to install aluminium windows? Installing aluminium windows can be a straightforward process if the aperture has been surveyed correctly and our installation guide followed. Please check out our downloads page for more information on how to install aluminium doors and windows. How to install uPVC bifold doors? Installing uPVC bifold doors can be a straightforward process if the aperture has been surveyed correctly and our installation guide followed. Please check out our downloads page for step-by-step information on how to fit uPVC bifold doors. How to install uPVC windows? Installing uPVC windows can be a straightforward process if the aperture has been surveyed correctly and our installation guide followed. Please check out our downloads page for more information on how to install aluminium doors and windows. How to keep uPVC French doors open? There are two options for keeping uPVC french doors open . One is to request ‘restrictors’ when ordering (simply mention this in the notes). These are fitted to the top of the frame and stop the doors opening past 90 degrees, although a strong wind may still blow them closed! Option two is to use ‘cabin hooks’, which can be screwed to the door and wall to hook the door open. How to level uPVC French doors? Levelling a uPVC French door can be a straightforward process if they have been installed correctly. If your uPVC French doors have become stiff, fixing them can be a quick and easy process. Usually, one or both doors will have dropped over time and adjusting the hinges will restore smooth operation. For information on how to realign uPVC French doors visit our downloads page for a hinge adjustment guide. How to measure uPVC windows? Measuring a uPVC window can be a straightforward process. You can find out more information on our window measuring guide. How to paint composite doors? Painting or staining a composite door is not advisable and would invalidate the guarantee on the door, and there is a vast choice of colours available when purchasing. However, if you are set on painting your composite door, then good prepping is key. Make sure the surface is clean and dry before applying your desired paint. How to remove aluminium patio doors? Removing an aluminium patio door can be a straightforward process if you follow our installation guide in reverse. Please check out our downloads page for more information on how to install/remove aluminium patio doors. How to remove uPVC French door hinges? If you need to remove the hinges on your uPVC French doors then visit our downloads page where you can view our uPVC hinge adjustment guide. How to replace uPVC French doors? Find out how to replace uPVC French doors by downloading our uPVC French door installation guide for a step-by-step walkthrough on our downloads page. How to secure uPVC patio doors? How wide can uPVC French doors be? Our uPVC French doors “without side panels” have a maximum width of 1000mm; however, using one or two side panels will increase the allowable width to 3400mm. Customise, quote and order uPVC French doors online easily. Yes it is 100% free and there is no minimum order value to qualify for either. So even if it's just one small bathroom window for delivery there is no charge. 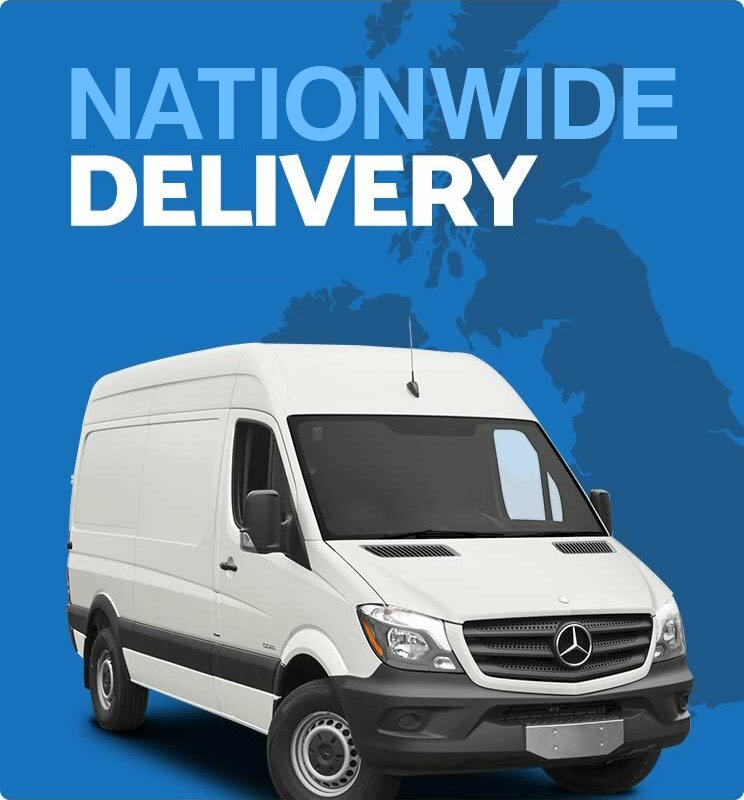 Find out more about our delivery services. uPVC or aluminium bifold doors? When considering uPVC or aluminium bifold doors there are a number of pros and cons to weigh up. For example, uPVC offers value for money and excellent thermal properties, whereas aluminium offers added strength and slimmer sightlines in comparison. The most appropriate choice will depend on the required application, budget and desired appearance. What are A-rated uPVC windows? A-rated uPVC windows ensure excellent thermal properties by upgrading the glass within the window. Find out how choosing a thermal upgrade can enhance the thermal properties of your window. Our aluminium doors are high-end products designed to enhance any home or business, offering sleek sightlines and excellent security. Find out more and customise, price up and order an aluminium door easily online. Aluminium framed windows, which provide slim sightlines, are strong, non-corrosive and offer excellent strength and security. They are commonly used in both residential and commercial properties. What are composite doors are made of? We offer three different types of composite door: standard, solid, and fire. Our standard range are filled with a high-density polyurethane foam, which offers excellent thermal properties. The solid and fire range are solid timber to the core offering adding strength; however, these types are not quite as thermally efficient as the standard range. Find out more information on our energy ratings page. What are the best aluminium windows? In researching the best aluminium windows for your project you’ll be asking yourself questions such as ‘what’s the quality like?’ ‘can I see any photo examples?’ and ‘which aluminium windows have the best reviews?’ Here at Just Value Doors we offer high quality aluminium windows, with outstanding service and value for money. What are uPVC double-glazed windows? uPVC double-glazed windows are a cost-effective, secure, thermally efficient window system used in many properties across the UK and Europe. What are uPVC windows made of? The term ‘uPVC’ stands for ‘unplasticised polyvinyl chloride’. uPVC begins its life as a plastic powder that’s used to shape many building products in today's market. The addition of plasticisers is to provide more flexibility. It is a strong, lightweight and environmentally friendly material. After placing your order and booking your home survey visit online you will receive an instant email confirming all the details of your order, then within 8 business hours you'll receive a call from us to confirm your survey appointment. Find out more about the process on our fitting service page. What to clean composite doors with? It’s important to know how to clean composite doors. Your composite door should be cleaned with warm soapy water, and just a gentle wipe with a soft cloth once a month is enough. Do not use any abrasive brushes or chemicals. 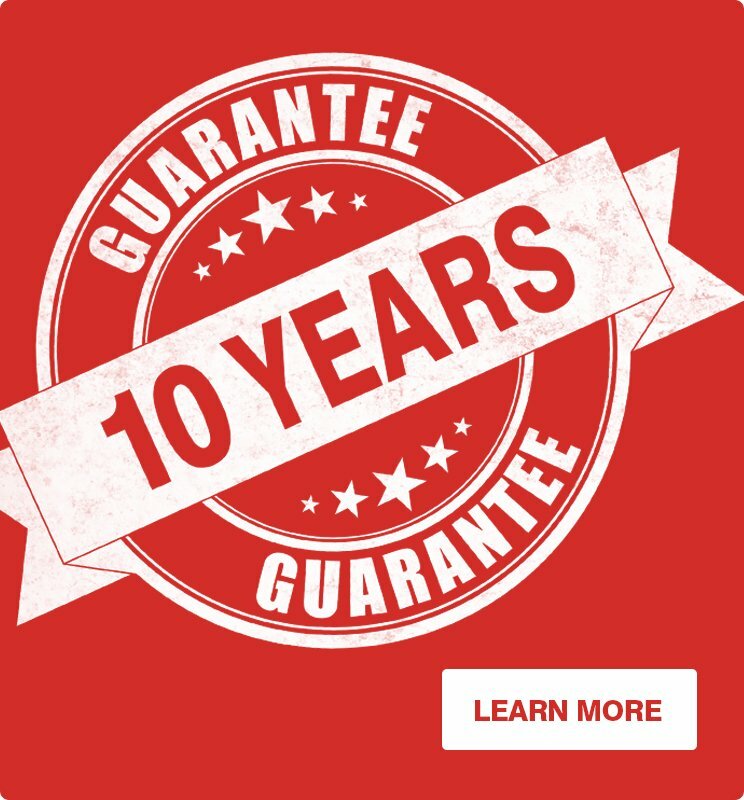 Find more information on how to maintain your door on our guarantee page. After your survey we will email you details of your order and should you wish to proceed we will request the final payment is made via credit or debit card. Find out more about the process on our fitting service page. The life expectancy of uPVC windows is around 35 years; however, that’s not to say you should wait that long to replace them! If your windows are looking old and tired then replacing them can be a relatively low cost and hassle-free process. Please check out our downloads page for more information - you can customise, quote and order uPVC windows online easily. We offer a vast range of uPVC products as well as a full survey and installation service. Where to buy aluminium French doors? When looking into where to buy aluminium French doors a good starting point is our aluminium patio door page where you can easily customise, quote and order online. We offer a vast range of aluminium products as well as a full survey and installation service. When looking into where to buy aluminium windows a good starting point is our aluminium windows page where you can easily customise, quote and order online. We offer a vast range of aluminium products as well as a full survey and installation service. The best advice, we feel, is to choose a well-recommended supplier. You may find a nice brochure showing a nice looking door at a nice price, but the company that manufactures and supplies it is hugely important in avoiding problems down the line. We have worked with many suppliers over the years and have excellent relationships with those that we feel are the best in their field. Take a look at some of our aluminium bifold door reviews for yourself. Also, check out our download page for technical information and, if you haven't already, customise, quote and order easily online today. The best advice we feel is to choose a well-recommended supplier. You may find a nice brochure showing a nice looking window at a nice price, but the company that manufactures and supplies it is hugely important in avoiding problems down the line. We have worked with many suppliers over the years and have excellent relationships with those that we feel are the best in their field. Take a look at some of our aluminium window reviews for yourself. Also, check out our download page for technical information and, if you haven't already, customise, quote and order easily online today. Which are the best uPVC doors? There are many uPVC door systems to choose from today, and it can easily feel like a minefield. We have worked with many uPVC door suppliers over the years, all offering different levels of service as well as different uPVC door systems. We finally settled on the Synerji profile by Synseal. We have sold countless uPVC doors and the feedback on this system has been excellent. Please check out our downloads page for more information - you can customise, quote and order uPVC doors online easily. Which uPVC windows are best? There are many uPVC windows to choose from today and it can easily feel like a minefield. We have worked with many uPVC window suppliers over the years, all offering different levels of service as well as different window profiles. We finally settled on the Synerji profile by Synseal. We have sold countless window frames and the feedback on this system has been excellent. Please check out our downloads page for more information - you can customise, quote and order uPVC windows online easily. Whether or not aluminium bifold doors are the right choice is a sensible question, and one you want to get right. A set of aluminium bifold doors is a large investment so research is crucial. We only supply the best quality products using tried and tested suppliers - take a look at some of our aluminium bifold door reviews. Also, check out our download page for technical information and, if you haven't already, customise, quote and order easily online today. Aluminium windows and doors are an excellent investment for your home, offering a high-quality product that will serve its purpose trouble-free for many years ahead. Also, check out our download page for technical information and, if you haven't already, customise, quote and order easily online today. When looking into which material to choose for your new windows, aluminium is an excellent choice. Some of the pros include added strength, slimmer sightlines, and a sleek, contemporary look and feel. Customise, quote and order aluminium windows online easily. Will you measure my existing door or window? Yes, as standard we will send our surveyor to your property to survey your existing opening and take all the relevant measurements needed. There is an upfront charge for this of £78 and this amount is already included in all advertised prices and quotations. Find out more about the process on our fitting service page.